• Multipurpose winding analyzer: transformer winding resistance, turns ratio, dynamic resistance on tap changer, type detection, arbitrary phase ratio measurement, demagnetisation, short circuit impedance, magnetic balance and heat run test (heat rise and cooling curve) in one instrument. • Setup made easy – simple “one-time-connection” system: once connected can perform all tests in all phases on both windings*. • Easy operation on touch screen interface with full graphical test visualization. • Automated tap changer test by dynamic resistance (with optional tap changer controller). • Advanced procedure for turns ratio and phase displacement measurement allows measurement also on non regular phase displacements (arbitrary phase shifted transformers). • Demagnetisation function – transformer is returned to a demagnetized status after measurement. 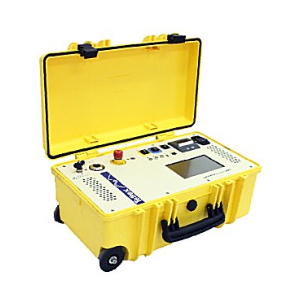 • Automatic magnetic balance test for magnetic core fault detection. 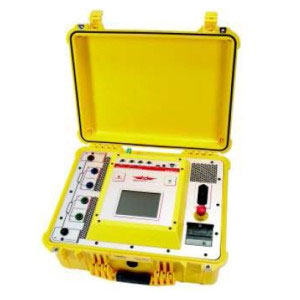 • Short circuit test at reduced current for mechanical damages detection. • Tap changer control signal. • Data transfer over USB memory-stick or LAN.